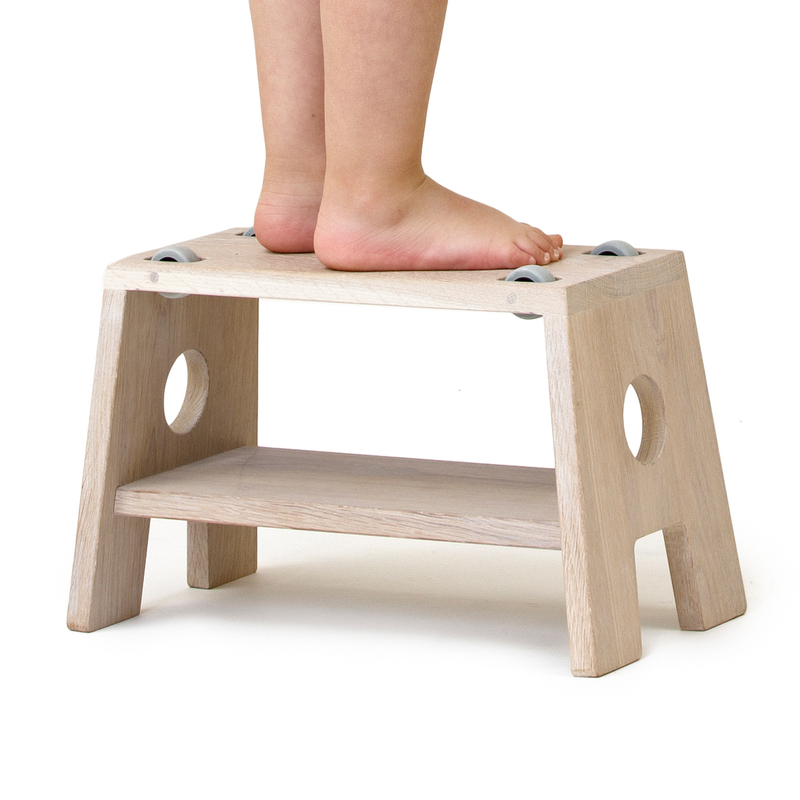 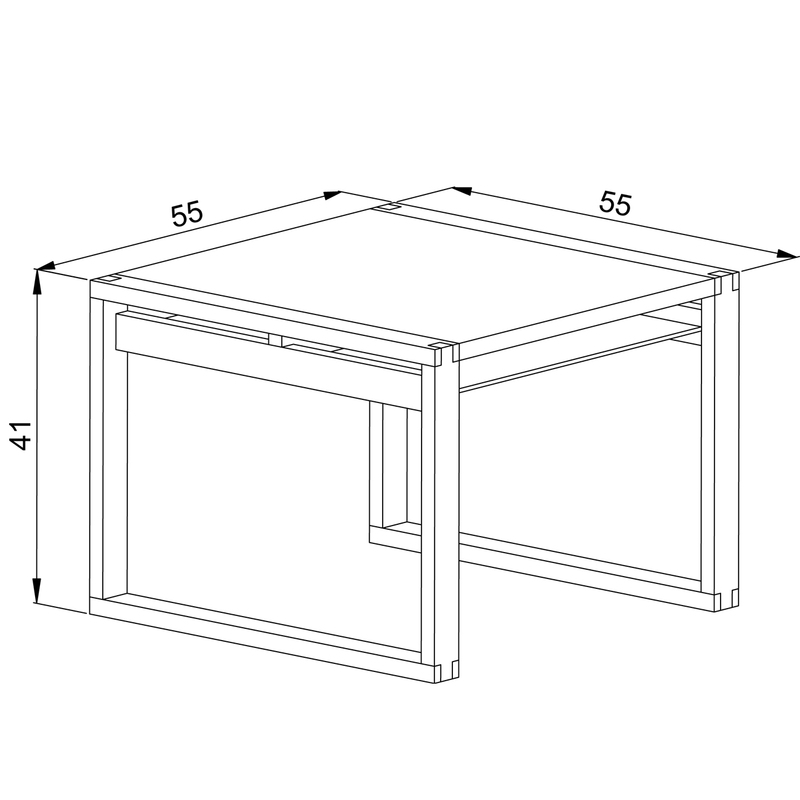 FRAME TABLE is both for adults and children. 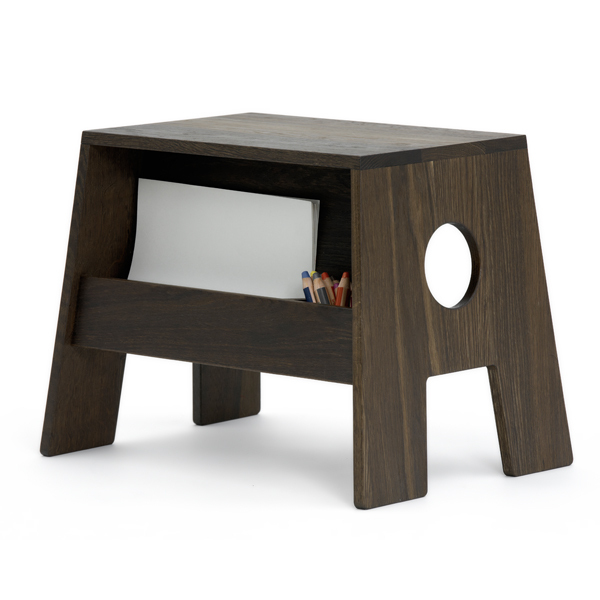 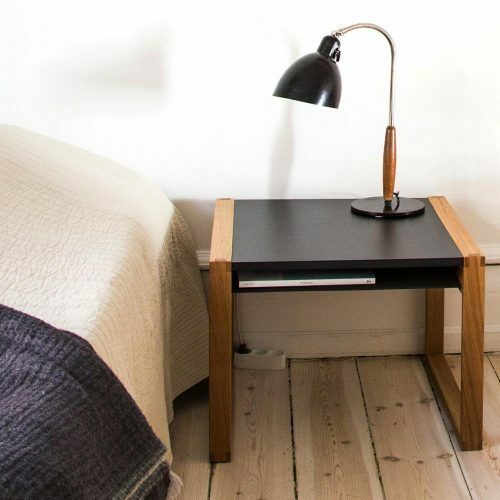 Coffee table or bedside table with a shelf below for magazines or TV-remote, but FRAME TABLE is also a great table for small children sitting opposite each other with room for paper and pen on the shelf below. 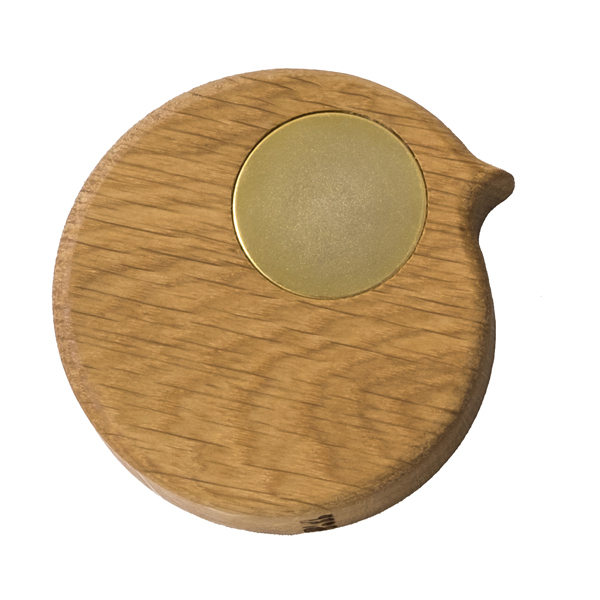 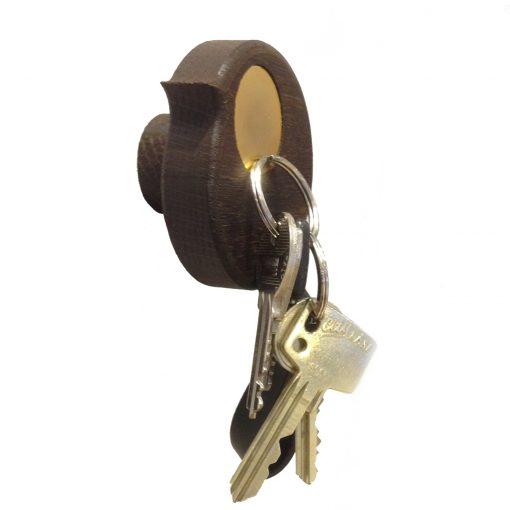 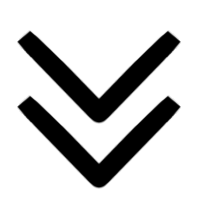 The strong laminated can be used as a chalkboard plate children can draw upon directly. 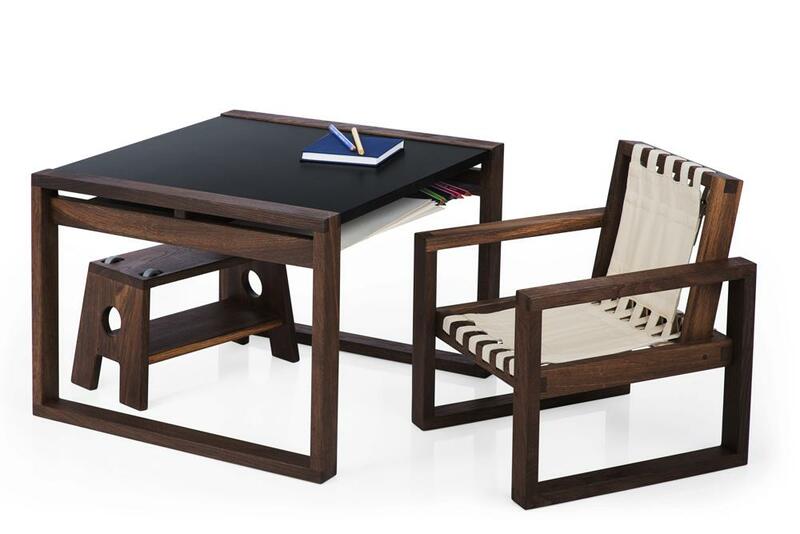 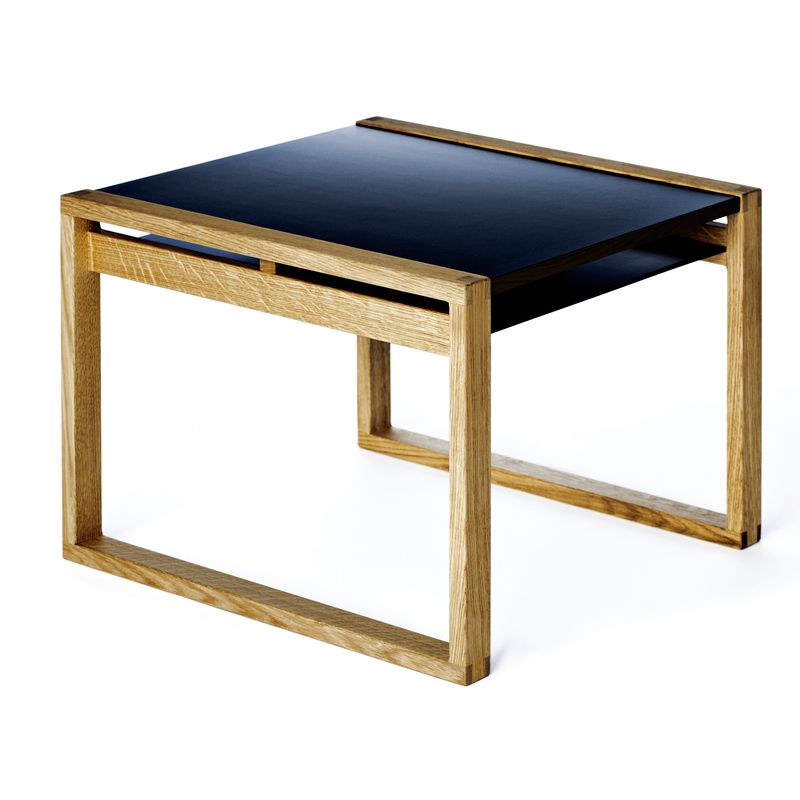 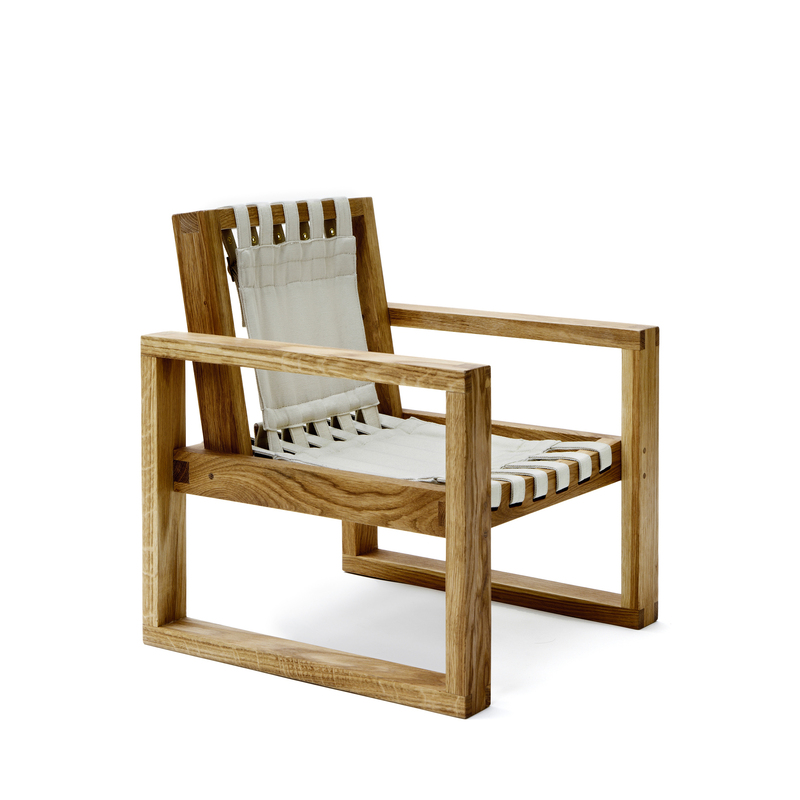 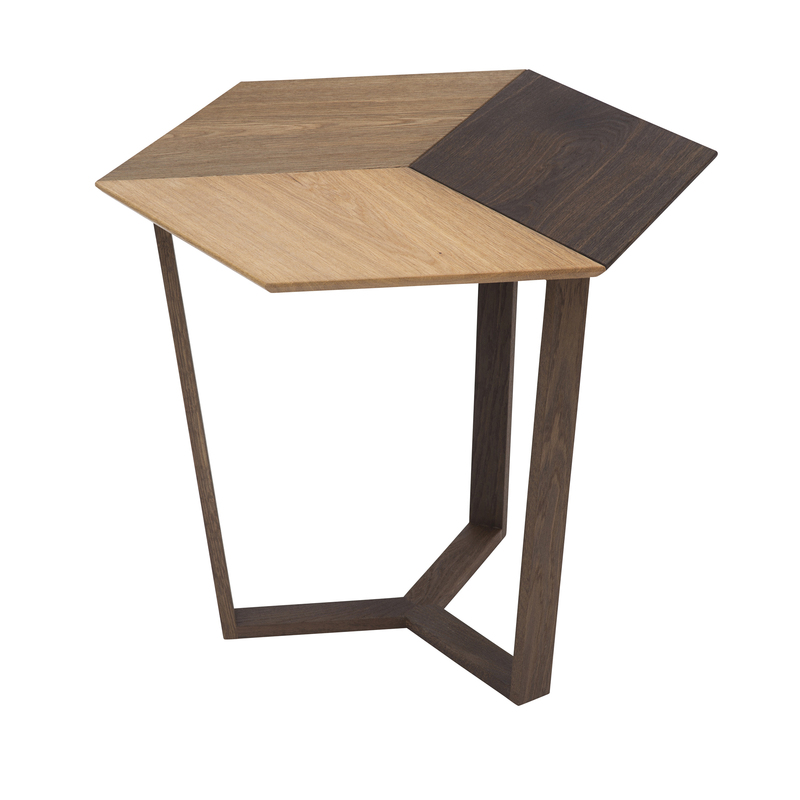 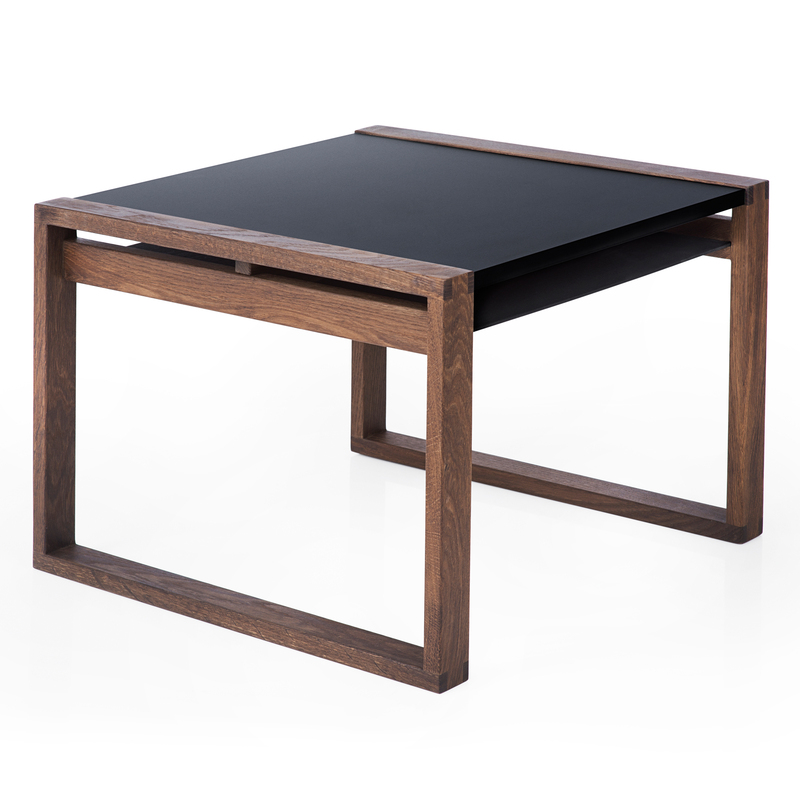 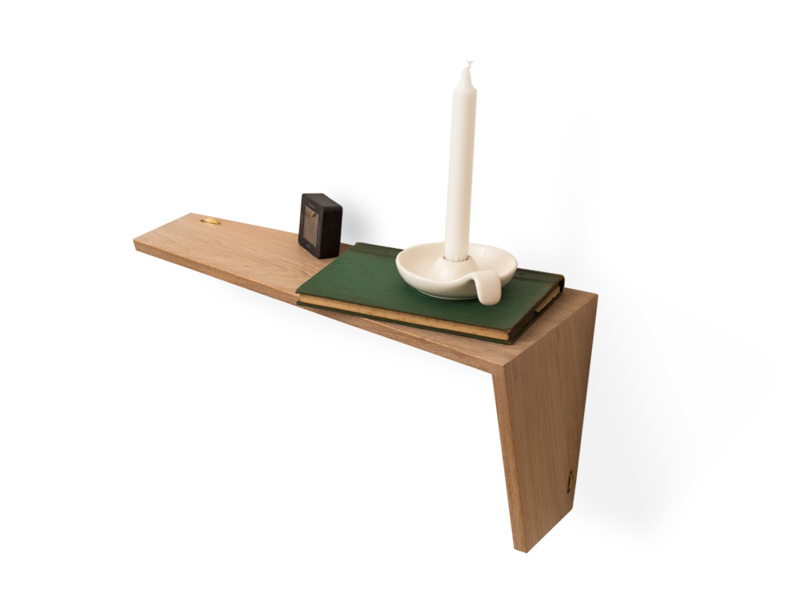 FRAME TABLE is built up of rectangular frames in solid oak-wood assembled with classic joints. The tabletop is strong high quality Austrian black laminate from © FunderMax. 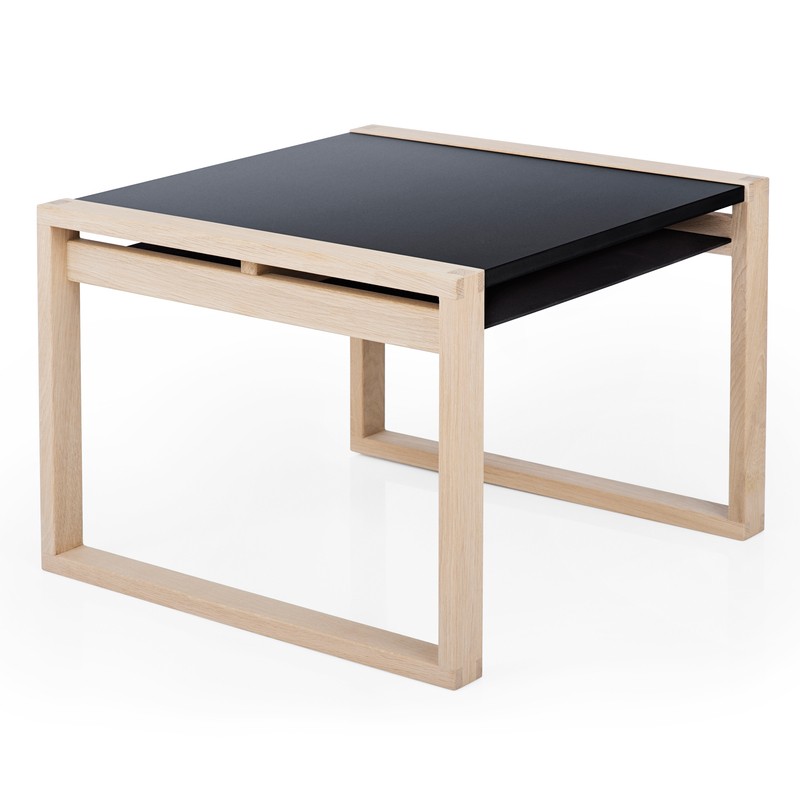 FRAME TABLE is made of solid oak wood from 100% certified sustainable European forests and is available in natural oiled oak, smoked oiled oak and untreated oak. 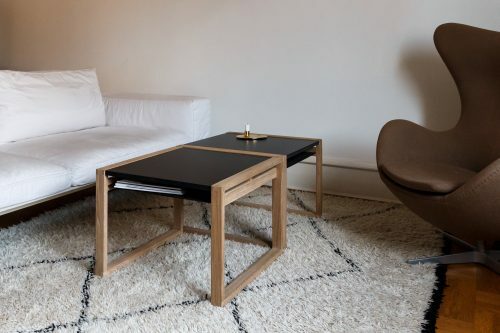 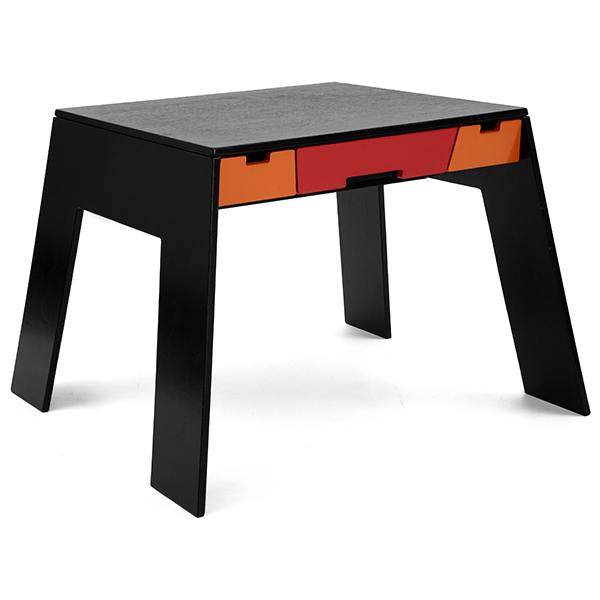 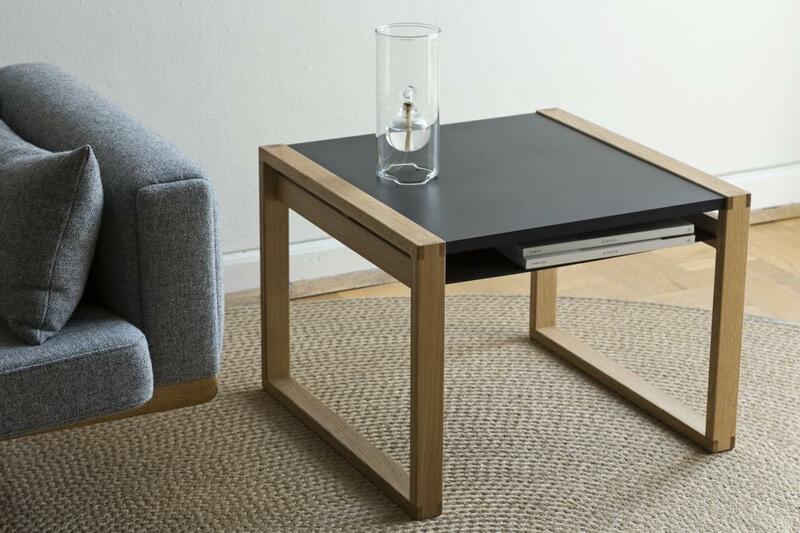 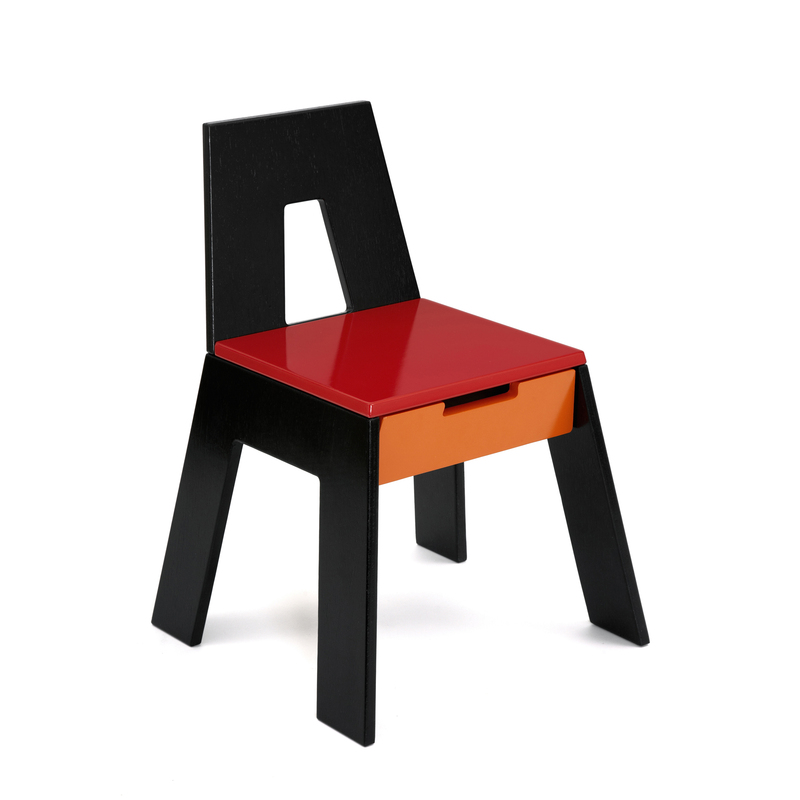 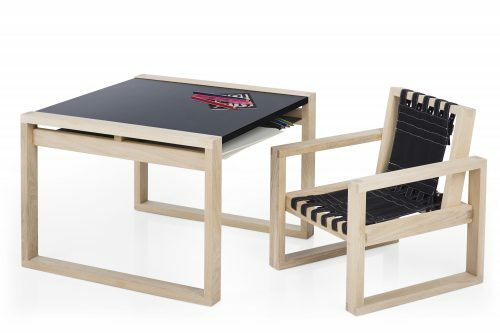 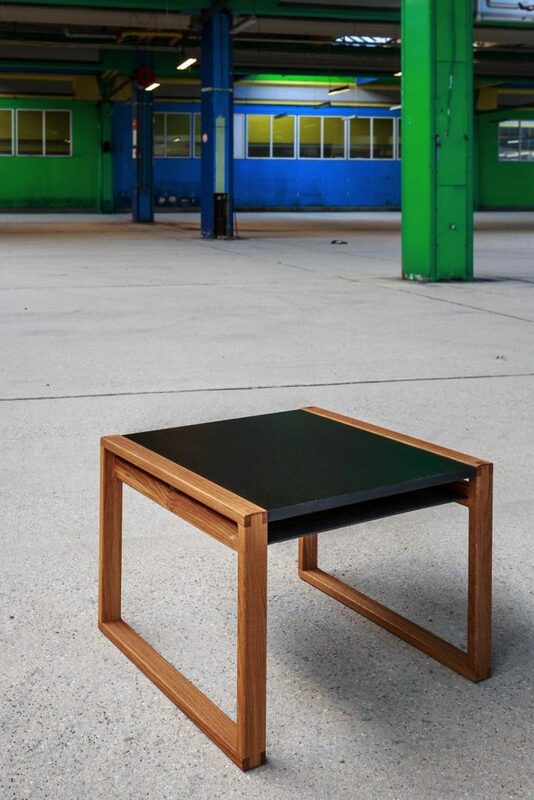 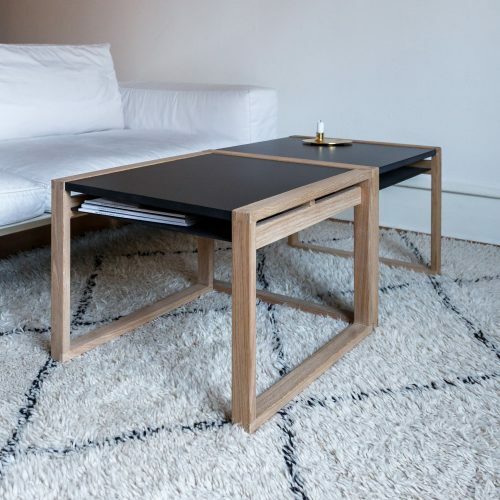 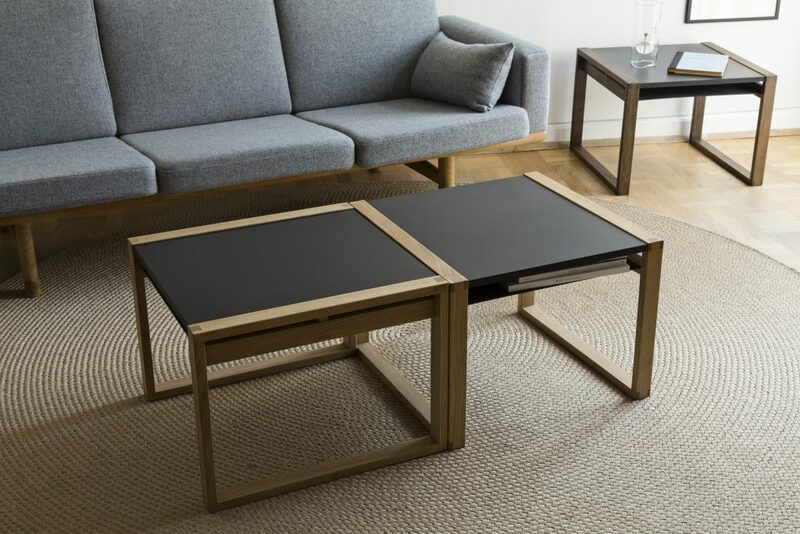 FRAME TABLE is designed by Frederic Collette.